I write about my experiences as an African American blogger because I think we all have a story to tell in this complex world. In my reading, I usually tend towards works of fiction, but this biographical work has stuck in my mind ever since I read it about seven years ago. For readers whom aren't familiar, the Civil War in the United States, which broke out in 1865, was one of the most violent conflicts ever fought on American soil. One of the major causes of the war was the destiny of imported Africans who were a significant source of labor in the American economy. Some states in the young country at that time had moved towards the abolition of slavery, finding the practice to be morally reprehensible. Pennsylvania, New York and Rhode Island for instance were averse to the enslavement of African citizens. South Carolina, Mississippi and Tennessee on the other hand did not support giving up their free source of labor. The Year of Jubilo was based on the life of Gawain Harper. Gawain was a school teacher in Mississippi in 1862. He had his eyes set on a young lady by the name of Morgan Rhea. He would not have her hand unless he decided to volunteer for the Confederate Army. The Confederates were intent on keeping persons of African descent in eternal servitude to the ruling elite of the time. Cotton was the major crop and most of the wealth of this time was derived from a machine like production of this crop. Gawain joined the 21st Regiment of Mississippi and was happy to defeat the Yankees in what was supposed to be an easy victory. The challenge for me in reading this novel was that it was written from the perspective of a Southern land owner. In this instance, people of African descent were property and were supposed to know their place in society. Most of my immediate family are from South Carolina. The Civil War started in Fort Sumpter, South Carolina and this state was one of the first to secede from the United States. 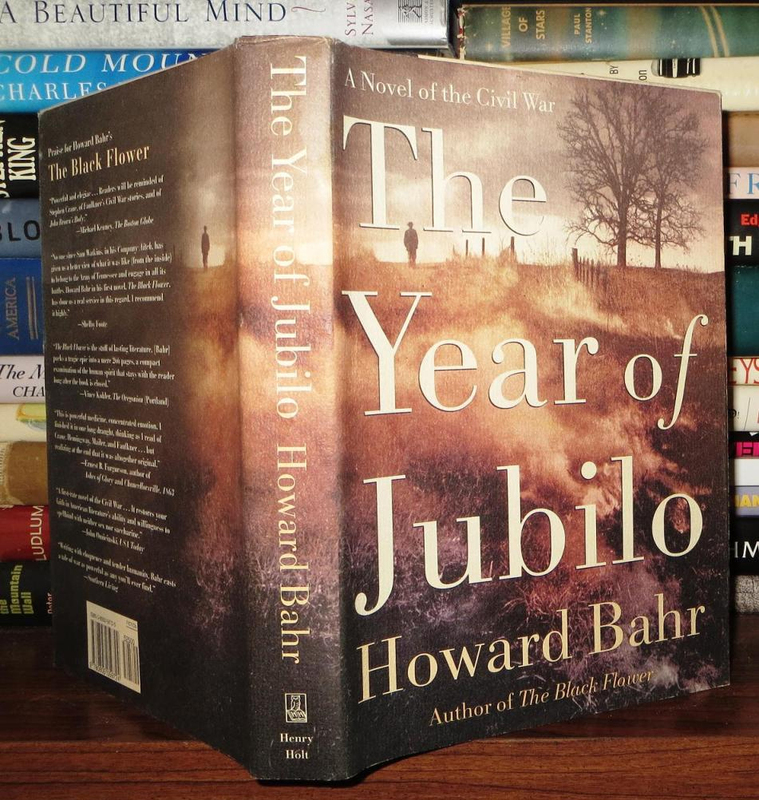 I was impressed by the writing style of Howard Bahr. Even though it was an intense time of suffering for African persons, he painted a picture of the South that was very becoming for those in power. I could almost taste the lemonade and hard tack that was described in the passages. Hard tack is a bread that was eaten om the trails and the way it was explained seemed enticing. People of color suffered some terrible indignities during the war. We were relegated to the task of digging graves and sentry duty for the white troops. We were executed with impunity if we ever decided to fight for out freedom. Gawain Harper, the main character in the novel, was not as disillusioned as most of his friends when the South lost the war. He had to return to a scene of devastation in Mississippi when the South lost the war. The loss produced the Ku Klux Klan and the notorious Black Codes which were meant to suppress the rights of people of African descent in the devastated South. For anyone reading this post, 55% of the population in Mississippi was African. Trying to figure out to do with these newly freed individuals led to the horror of lynching and persistent persecution. I am a part of the Democratic Party today (as is most of the African -American community). In that era however, the Republican Party was the defender of the rights of the enslaved Africans. Hiram Revels became a Senator in the United States during this tumultuous time period. He took a conciliatory approach towards former slaveholders. He only served a short time and eventually became the President of what would become Alcorn State University. Mississippi was one of the bastions of white supremacist movements. Owning land was also a major advantage in voting. The 3/5th's compromise allowed slave owners to claim the representation of their slaves, whose population was considered by the laws namesake. All these factors meant that former slave owners did whatever they could to keep former slaves in a state of servitude. As I've expand my personal understanding of African culture, I've always appreciated the great breath of stories. I want to add to that great narrative, by exposing some of the struggles we've experienced here in the United States, and how we've advanced so far.